Hernando de Soto is currently President of the Institute for Liberty and Democracy (ILD) based in Lima, Peru. The ILD has been described as one of the most important think-tanks in the World and Mr de Soto as the “World’s Greatest Living Economist”. In 2004 he received Cato Institute’s the Milton Friedman Prize. Mr. de Soto was born in Arequipa, Peru, in 1941 and did his post-graduate work at the ‘Institut Universitaire des Hautes Etudes Internationales’ in Geneva. He has served as an economist for the General Agreement on Tariffs and Trade, as President of the Executive Committee of the Copper Exporting Countries Organisation (CIPEC), as Managing Director of Universal Engineering Corporation, as a principal of the Swiss Bank Corporation Consultant Group, and as a governor of Peru’s Central Reserve Bank. As his principle activity he designs and implements capital formation programmes aimed at strengthening the economy in developing countries in Asia, Latin America and the Middle East. 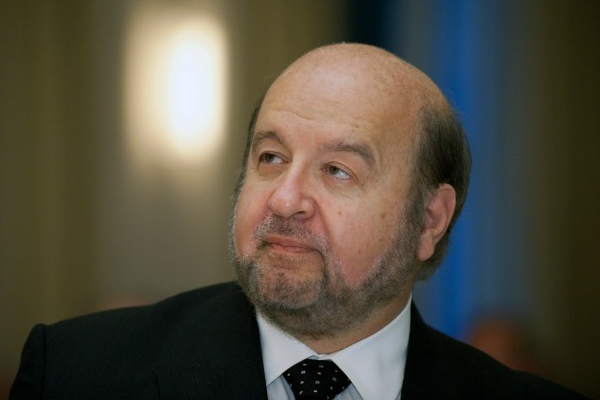 Mr de Soto is widely regarded as one of the most influential development theoreticians of the last millennium and offers corporations the benefit of his wealth of experience. A brilliant speaker and charismatic personality, Mr de Soto’s presentations are both entertaining and enlightening.